The heat is certainly on Lim Guan Eng on the #NoSwimmingPool issue. 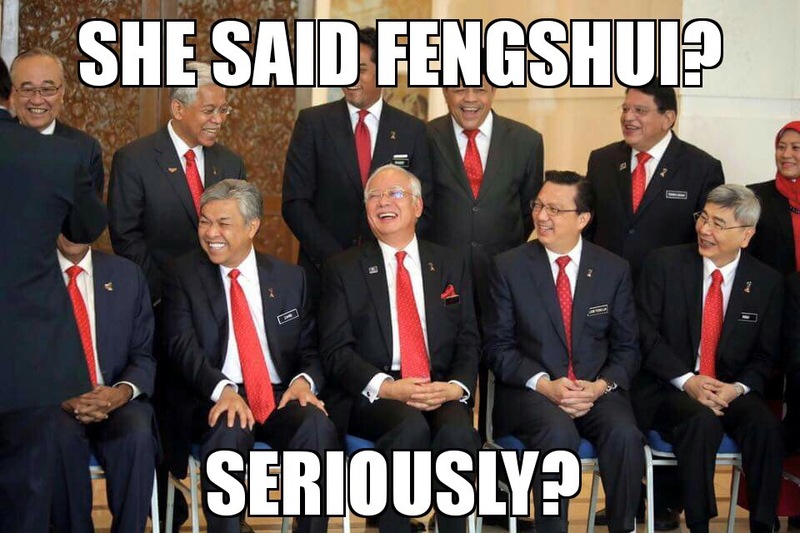 The silly #BadFengShui excuse given by Teresa Kok makes the whole circus even sillier. Who in the right mind would want to buy a property that has bad Feng Shui? 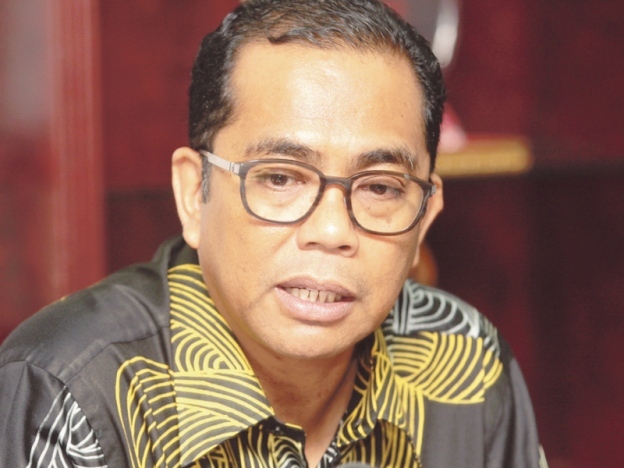 To make matters worse, a Melaka DAP officeholder has quit the party to become an independent. 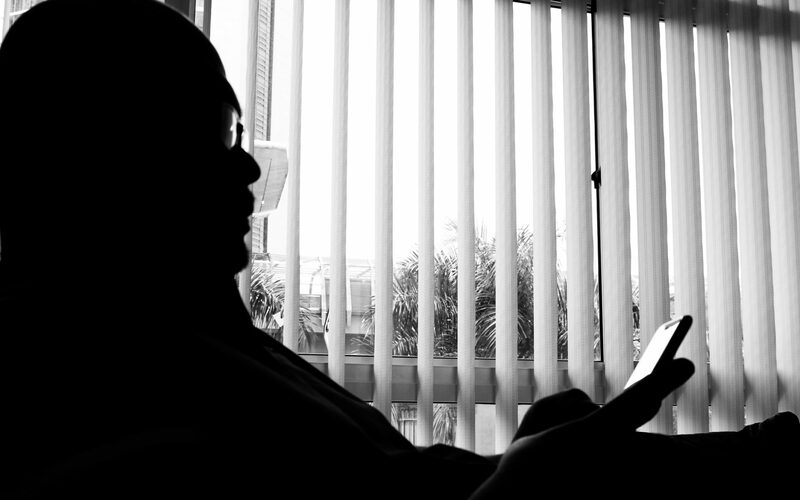 Johor-born Lim Guan Eng was a Melaka DAP person until he found it difficult to get support there that he had to contest in Penang, making the Penang DAP folks look like they are incompetent to run the affairs of their own state. Anyway, you can lookup the hastags above on Twitter and see what has been discussed. Enter Liew Chin Tong. 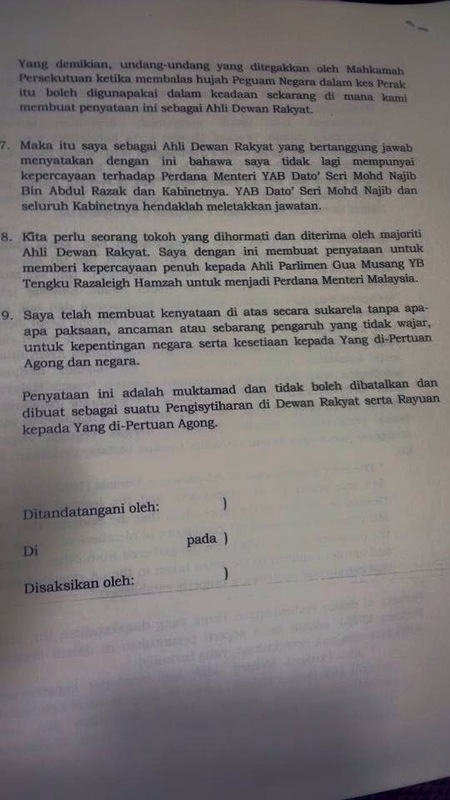 Liew tries to divert the whole attention to this recently-revealed document, saying that Tengku Razaleigh Hamzah was part of the plot to topple Najib Razak, a claim underscored by an enraged Mahathir who had to even confess that he was a dictator! 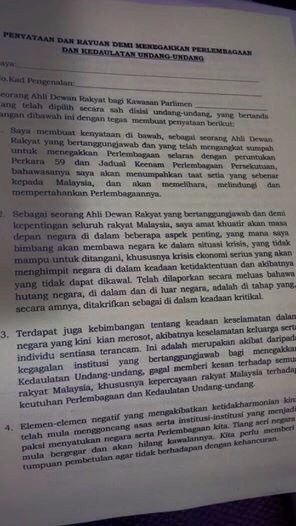 That Ku Li signed the declaration to support Najib Razak. And unlike the unsigned document above, he actually signed the declaration of support. 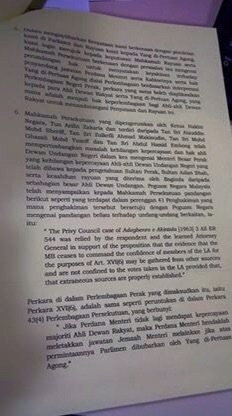 We won’t forget Section 165 of the Penal Code and how similar Guan Eng’s case is to that of Khir Toyo’s. 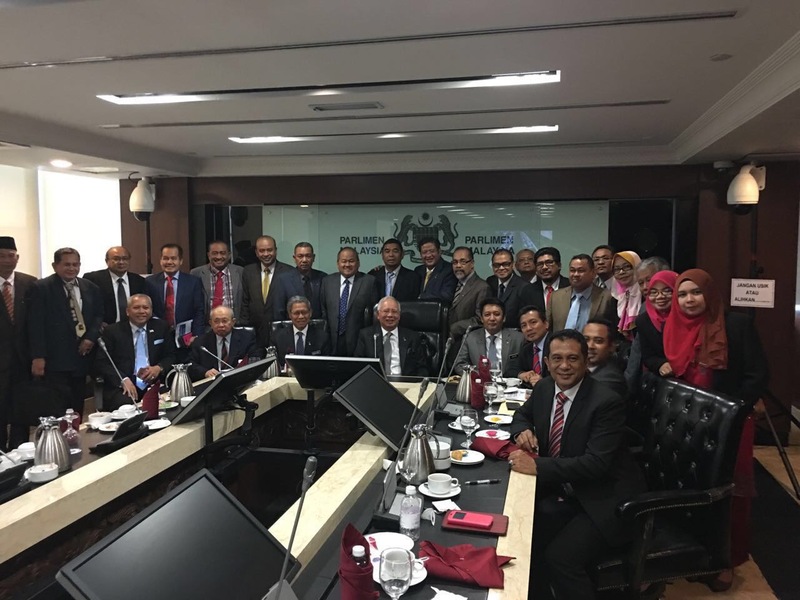 The question now is when, since the MACC is trying best to protect Guan Eng by delaying taking his statement.